We are delighted to be able to let out the church building rooms for public use – we want it to be used by the community, and seek to provide a well-maintained building, with friendly, helpful staff! 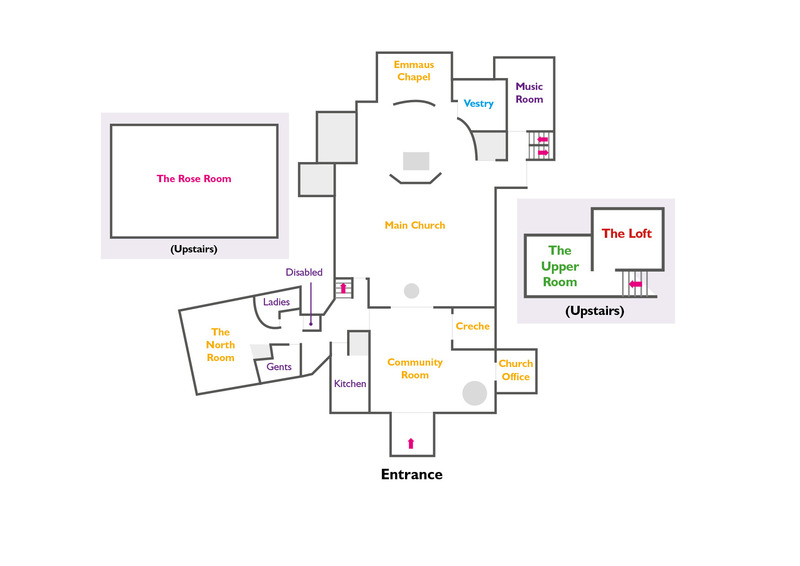 The Worship Area is available for use at the discretion of the Vicar. A carpeted room between the entrance and worship area, with kitchen serving hatch. A newly built room with separate access. A first floor room overlooking the worship area. A first floor room, carpeted, overlooking the sanctuary. A ground floor room with WC and small kitchen area. A first floor room with a wooden ceiling. A small carpeted area ideal for small groups or young children. For more information or to book a wedding contact the church office by calling 01423 544528 Mon, Wed, Thurs, Fri, 9:30am-12:30 or by filling in the contact from below.